The fresh cut vibrant orange of Padauk darkens with age into a regal ruby red that's sure to impress. 30+ colorful and durable strips ready to create your favorite cutting board combo. Baltic Birch Plywood is the Cadillac of plywoods, thick veneer witout voids, perfect to work with. 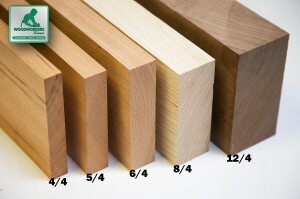 Check out this selection of awesome woods cut to size in 12", 18" and 30" lengths. Wood swells and shrinks constantly. 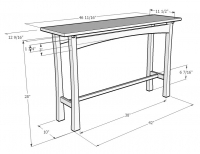 Here's what you need to know to protect your project.